Can a Mediterranean diet slow the advance of Alzheimer’s? Home » Blog » Can a Mediterranean diet slow the advance of Alzheimer’s? If you stick to a Mediterranean diet rich in fruit, vegetables, olive oil and whole grains, you may delay a decline in your memory and ability to think. You also may delay the onset of Alzheimer’s disease, according to new research. The new findings build on earlier research that found a healthy Mediterranean diet can help cut the risks of cardiovascular disease, cancer and other diseases. Eighteen previous trials were examined in an effort to track the effects of the diet on cognitive abilities over time. The authors said their research offers “encouraging evidence” that following a Mediterranean diet can help improve the brain’s ability to think and remember, and keep from developing Alzheimer’s. They called for continuing research over the next 20 to 30 years, while a large segment of the population ages. Society will benefit if more people adopt a Mediterranean diet, the authors said, because it will improve the quality of life for many and reduce the social and economic burden of dementia. The study, “Adherence to a Mediterranean-Style Diet and Effects on Cognition in Adults: A Qualitative Evaluation and Systematic Review of Longitudinal and Prospective Trials,” was published in the journal Frontiers in Nutrition. Here’s what the American Heart Association has to say about the Mediterranean diet. The National Institutes of Health published a study on the costs and cost-effectiveness of adhering to the Mediterranean diet. It was conducted in response to the shifts away from the diet in many Mediterranean countries that were adapting increasingly to Western diets. You can find many recipes built on the Mediterranean diet. Here’s a set compiled by the American Diabetes Association. The Mediterranean diet has long been recognized as being helpful in preventing cardiovascular disease. Providence cardiologist Naji Hamdan, M.D., wrote a piece in 2013 about the health benefits of the diet. He noted that studies had shown such a diet reduced the risk of death by cardiovascular disease by as much as 30 percent. Providence has many resources related to a healthy diet, including nutritionists, food intake trackers and tips about healthy eating. Talk to your provider about improving your diet or about any concerns you may have about cognitive decline. 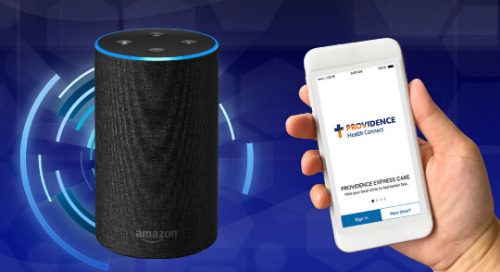 A directory of Providence providers is available here.